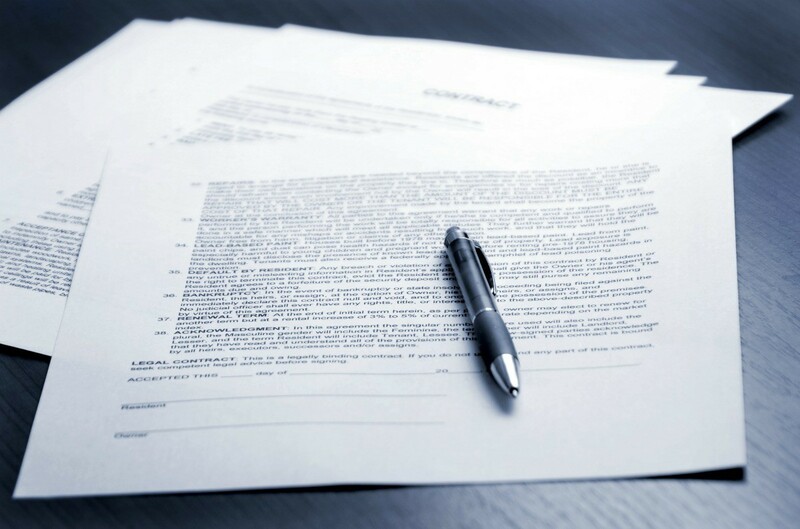 A power of attorney is a legal document that gives someone the right to act for another in specific situations. This is a guide about rights of person holding Power of Attorney. I have a friend whose daughter is in jail. Her daughter owns a home and her girlfriend is staying there off and on. My friend is her daughter's power of attorney and wants to get her daughter's stuff out of the house. Her daughter's friend won't give them the keys or let them in. How do they go about this? I strongly suggest that your friend hire an attorney experienced in her daughter's legal problems and POAs. A POA addresses only medical and legal issues regarding the daughter, not access to the home, etc. A letter from your friend's attorney will have much more meaning than a demand from your friend. The attorney can have the friend removed from the house, and any other legal and criminal actions needed. First, have your friend call law enforcement and have her explain (succinctly and not emotionally!) that the house is her daughter's, the things are her daughter's, but there is a tenant that won't let her in. She'd like the police to go with her and help her gain access to the house. If for some reason this doesn't work, she should hire a locksmith, explaining the house is hers (close enough) but a tenant has locked her out. If she and the locksmith encounter any trouble at that point they can call the police then and it's unlikely that they'll be ignored. It would be best, though, if they could go in when the roommate is at work or otherwise occupied. My mother is in a nursing home. I have legal and medical power of attorney. she has a personal account with her nursing home, but she is mishandling her money and losing it. She should have had at least $1500 in her account, but she was down to $208. Can I withdraw the money from the nursing home and put it into my savings account to pay for her final resting place? I provide my mother with groceries, snacks, clothing, drinks, and whatever she needs. I buy it for her thinking that this $50 a month had been building up in her personal account at the nursing home. I was devastated when I saw that there was only $208. I wanted to make sure that the money would be there when her final day did come and we would have the money to pay for that. The financial director of the nursing home told me that he couldn't give me that money because they get audited, but if I don't touch it and I just keep buying her the things that she needs out of my living expenses and can provide a bank account statement showing that none of her money has been used for any personal use on my behalf it will be OK. I am one of three children, but I will be the only one paying for this and I need to know what I can do if this financial director at the nursing home is allowed to keep this money from me when it is only in her best interest that she has the money instead of losing $75 within a week in July. I have that account statement as proof of her mishandling her money. You need to consult an attorney. If your mother is mishandling the money, you should be able to manage it for her. I would contact your lawyer to start off with. This can be an issue with the nursing home taking the funds out of the account and saying it was your mom. You actually don't have any way to prove this on your own. You'll need help. If it was your mom, you'll need to find out what she did with this money. She doesn't really have any way to spend it where she is. Second, if the money has to go to the account you can try and make the nursing home notify you of all withdrawals before they happen. This way you can give your approval on them or not. As long as you don't have full power of attorney over your mom there isn't much you can do right now. Only a lawyer can help you with this and a judge needs to approve this and sign the papers. You need, in addition to legal and medical powers of attorney, to be her fiscal conservator. That will put you in charge of her finances. Legal power of attorney does not generally cover this. So much varies from state to state, so bear that in mind going forward. The financial director is NOT looking out for your best interests, only that of the nursing home. They are a business, after all, and profit is their goal. Please do not accept what he says as truth or law. If you have to cut off funds from your mother,so be it. You must protect both her and your interests, but it sounds as if she is in no place to make those decisions. I wish I could give you a more specific answer. My mother suffers from dementia, and while she is not in a nursing home, my sisters and I are dealing with similar issues. Perhaps there is guidance to be found from your state's senior services agency. A quick web search should direct you. I live with and take care of my mom. My sister has POA and she is always saying she is going to take my house, my name is on the deed, and change my mom's will. She also told me because she has POA she can come into my house anytime she wants and do whatever she wants. Is any of this true? A POA is limited to the specific stipulations in the document; these stipulations usually address financial and medical matters, not legal matters. Your sister is limited by the stipulations in the POA and cannot legally take your house or change your mother's will. Also, she cannot enter your house at will and do whatever she wants, even though your mother lives with you. I strongly suggest that you immediately consult with an attorney who specializes in elder care, POAs, wills, etc., to clarify the provisions of the POA. Your attorney can then contact your sister and educate her as to the POA and what her specific responsibilities are. Your sister will most assuredly become angry, however, you must protect yourself and your mother from her threats to you, her abuses of the POA and her responsibilities. If a boyfriend is in prison and his live-in girlfriend has power of attorney, can she sell his trailer if she can't afford to live there? He has the title to it. This is all going to depend on what legal rights she has and what she can do with his things while he is in prison. If she can't afford to keep up the trailer and can't for it, maybe it is best it be sold. At least he will have the money when he gets out. If he still owes on this and she has to make the payment, plus keep up her own payments where she is living it is a burden on her and she shouldn't be responsible for this. I would say that she needs to speak with him and maybe a lawyer too. I have a durable POA or my mother. My brother has been holding her jewelry for her because she's in a nursing home. She has asked him to bring her jewelry to her and he won't. I have asked him several times myself. As POA what can I do? My grandfather is in a nursing home with Alzheimer's disease. My uncle is his power of attorney. My grandfather wanted it changed, but his mental state was a little questionable at the time. My two daughters have lived with my grandfather for the past 14 years they're are now 19 and 23. My youngest daughter still lives in the home during the weekdays. She went there today trying to get in to get some of her clothes and all the locks were changed, plus the alarm code. I know my grandfather never in a million years would think my uncle would be so hateful and such a monster, but he is. Is it legal for him to do this? Is it legal for my uncle to lock my daughter out of her own home and tell her we will set up a time and meet so you can come get your things. Also when my grandfather passes my uncle is planning to ban me from the funeral; is that legal. If not, what can I do about it what can I do about any of this? I have POA over my friend who is now in a nursing home. He has been receiving a Social Security check in his checking account for months now. I am also on his checking account. I have used some of the money for personal use. Is this misappropriation of funds? There are different types of POA and one gives you certain rights over that person's finances. Who is paying for your friend's bills in the nursing home? does he have other insurance or other means to pay these bills? Usually if there is no other insurance to pay, the nursing home will require the SS check be sent to their institution as payment for care/housing and other expenses and will usually take any additional expenses (over and above the SS check or insurance check) from their personal finances (or require someone to pay the bills). I believe having your name on the checking account may make a difference in whether this would be considered misappropriation of funds but I would highly recommend you see an attorney before spending any more of these funds as things like this can get way out of hand and cause many problems. I believe one of the things an attorney will ask is when and why did your friend put your name on his checking account. Only an attorney can give you a legal and correct answer. Here is a link that explains a little about a POA but you need more legal advise than this. My brother has been holding on to my mother's jewelry, per her request. She's been asking him to bring her jewelry back to her and he won't do it. I have power of attorney for my mom. What can I do to get it back? My mother made me her durable power of attorney about six months ago. I am also executor of the will and her advance medical directive. My mother has dementia and needs constant care. She has enough money to pay someone to come stay with her for a few months, but then her savings will be gone. My younger brother has been living with her for 14 years and has never paid for anything. He has paid no rent, nothing on utilities. All he has ever done was to cut the grass. He says he can no longer help take care of her. He is gone constantly. As my mother's POA can I have my brother be made to pay rent and help with the bills? He says he has lived there so long that no one can make him leave or pay for anything. My mother is living off of Social Security and a small savings. She really needs the extra money to help pay for her care. Is there anything I can do to get him to help? Or have him evicted so we can rent out his downstairs apartment and help with my mom's care? It won't be long before she will have to be put in a nursing home. The only option will be to sell her home to pay for this. Does my brother have any legal right to stay there living for free? You have a difficult situation and clearly need an attorney to answer your questions and start legal action to remove your brother from the home. It is clear that he is prepared to fight to continue to live in the home. Off hand, I think he has zero rights to the house, or anything else. But, you need an attorney, and you need to be prepared to have a very nasty fight with your brother. I'm sure if he tells this story, he will be the aggrieved party, but the first priority here is your mom, and you are the one who must now decide how to look after her and her best interests. Get legal help at once. You definitely need an attorney. Because your mothers money is in her home any nursing home will want you to sign the house over to them. Once that money is used up she will need to be put on Public Aid. So whatever home you place her in you will be better off by asking if they will keep her when she needs to be placed on public aid. Not all homes will do that so line up one that will continue to care for her under Public Aid. A lot of nursing homes won't keep her and then you will have to transfer her to another home that accepts Public Aid when that time comes. Don't even think about trying to hide the house or the money from them because before she's approved for government assistance they will want to see her income tax returns for the past 5 yrs. Any money (house) she has given to her family will have to be returned to her for her care. That's another reason why you need a good lawyer. Call your local Bar Assn. for a referral or ask your friends if they know of a good attorney the first consultation is usually free. I suggest that you talk to three lawyers before picking one. Sorry to hear about your mother - good luck with this situation. You certainly need legal advice as there are too many variables to be addressed. You do not mention who the house goes to (will) but a nursing home will take the house no matter who is the "owner". Your mother appears to need extra care right now and a live-in person may work but may be difficult to find - and keep - if you expect them to take care of the house (and the brother?). As pointed out by another responder - be sure to check out several nursing homes before making any final decisions as many homes do not accept public (Medicaid) funds and a VERY large number do not accept patients with dementia/Alzheimers. This is usually a special type of facility so just ask what happens to my mother if she needs this type of specialized care. The nursing home may place a "lien" on the home but may allow your brother to continue living in the home until it is sold to take care of the expenses incurred in your mother's care. However, they will probably not put out any money for maintenance/utilities etc. All homes of this type are very expensive - usually running (in my area) 100 - 300 (and up) dollars a day plus any special items/medications/doctor visits etc. At home care is also expensive but your decision should be based on what type of care your mother needs now and in the future. I have had to make this type of decision and it is very difficult so maybe it would be good if you have someone to discuss this with that can assist you in finding the right solution. My daughter has power of attorney for my husband. He has dementia and she has signed papers for him to go in to VA home. I, his wife, do not want him to go. Can I stop this? I suggest that you consult an attorney specializing in POAs and family law for your rights in your situation. Unfortunately - in some cases - a power of attorney can create a lot of problems in homes/relationships. But - a properly executed POA is a powerful instrument so only an attorney specializing in POA's can help you (as the first responder suggested). That being said - since we do not know your age - from your question it would appear that you are at retirement age and free legal services may be available to you. You could check out any senior services organizations in your city or even ask your question at the VA center. If you cannot locate someone to help you then you could try the Salvation Army offices as they will be able to give you names of local organizations for you to try. You did not mention what type of POA your daughter has but she may also have some or total control of his finances and any property/vehicle/bank account that has his name on it. Any property with yours and his name will be another question but she may be able to withdraw all money from a joint bank account. I would recommend that you try to get help ASAP as it will be very, very difficult to get this "undone" if your husband has already been admitted to the VA center. Also, I do not know your financial situation but usually when someone is admitted to the VA center/nursing home all (or most) of their benefit/pension checks will go directly to that institution. We had an issue when my husband was dying of a brain tumor and my daughter threatened to get POA over both of us. I had the social worker at the hospital draw up a POA while he was there for my sake. But when I told them why I was doing it they told me as his wife, I had the final say on things. Check it out, not sure if you gave her permission to do this or not but I would seek advice from an attorney. I know how it is when others want to force you into doing something you don't feel ready for or is right. My nephew has DPOA for my father. Can my nephew sell his own house and make my father's house his own permanent home? My nephew is closing bank accounts left and right. My nephew's wife is signing back of checks to be deposited and signing checks to pay bills. She is a teacher and says that they, the law won't question it at all because I am a teacher and teachers don't lie. (That is how my nephew got DPOA thru the courts, because his wife is a teacher.) They both have criminal records, one assaulted a police officer and one for obstructing a police officer and disorderly person (maybe drunk). Before my mother died my father/mother had a will/trust and I the daughter was in charge. I even paid their bills even after her death. My dad has dementia and did a new will/trust and made my nephew POA. Is this legal or not? Can my nephew have a DPOA with a record, or sell his own house? Does a POA give me the right to go and remove money if my dad askes me so? I need legal advice. My mother is on her death bed and my sisters have power of attorney and have refused me seeing my mom. She lives with one of my sisters. Some one please help me find out how to see my mom before she dies. Is it legal for the person holding a power of attorney to keep a family member, who has been living with the parent all her life, from seeing the parent after he moved the parent out without notice? You can look up - explain Power of Attorney - on Google and get lots of information. to ask an attorney to investigate what is happening. My two brothers have POA over my mother. She has been diagnosed with dementia and one of them took my mother to the DMV and filed for a lost title to her car. My other brother had the original title to the car. Then he had her sign over the car to him so he can tag it himself and put insurance on it and have anyone drive it that wants to. Is this legal, can he do this with her having dementia? In the POA it does not state he can transfer any personal property to himself. Your concerns are valid. I suggest you discuss your questions with an attorney who specializes in POAs and other senior care issues. I am not officially married to my boyfriend, but we have 1 year old daughter. I have given him POA over our daughter. In some days I'm flying with my daughter, without my boyfriend. Do I need POA permission from him? I'm not sure, if they will ask me this on airplane, because our daughter took her father's surname not mine. Please help! You are smart to address this issue now, before any need. I suggest you and your boyfriend discuss the entire situation with an attorney who is experienced with parental legal responbilities. You can then make a decision based upon current law. Here in Canada if one parent is flying out of the country with minor children, they need a notarized letter from the other parent to show that they are aware of the trip and that the traveling parent is not abducting the children. It is the same if traveling by car. I do not know how it would be in the EU since travel is so open between countries. However, I don't think you need to contact a lawyer about this. Phone your passport office, or the airline and see what the procedure is for your country. If you are traveling within Germany, I suspect no one would ask for anything, but that's just a guess a my part. When my 15 year old traveled from Canada to the US by himself both parents had to sign the letter (we were separated at the time), and we had to list the places he would be staying, who he was staying with, and when he would be flying home, along with his flight numbers. I doubt that PoA has anything to do with it. My wife has been diagnosed with dementia. Without my knowledge, her nephew got her to add him to her bank accounts. If I can get a durable POA, can I have him removed from her bank accounts? I have power of attorney for my dad who is the executor of my mother's will. She has now passed; can I deal with mum's will for him? What you can do depends upon the specific wording of the POA. You should consult with an attorney to be certain of your POA rights.